The largest vertical garden in Queensland will be the centrepiece of a new apartment project in South Brisbane. The north and south facing walls of Verde, will be covered in 480 square metres of plants including herbs and succulents. 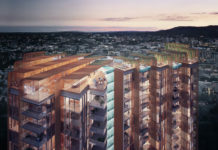 The 12-story building will embrace South East Queensland’s climate, with 82 environmentally sustainable, lifestyle friendly, spacious apartments. 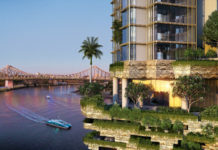 VCP Developments and Modern Architecture Practice spokesman Paul Obod said the inner-city project will celebrate Brisbane’s tropical, outdoor lifestyle. “No one in Australia is doing it properly. Our green wall will embrace the environment and become a landmark. It’s my vision to help make Brisbane a greener city,” Mr Obod said. Less than 1.2 kilometres from the city, Verde will offer residents views of the CBD, ground floor retail, a 25m rooftop pool and BBQ lounge area. “Verde is the epitome of affordability and convenience. The centre of Brisbane is less than a 15 minute walk,” Mr Obod said. The one, two and three bedroom apartments at the Cameron Street address will start at $385,000 and feature premium finishes including kitchen appliances from Miele, stone benchtops and bathroom accessories from European designer Rogerseller. The development is being marketed by CBRE Residential Projects, who provide specialist services to developers, including site identification, market research,strategic sales advice, sales management, marketing, sales and settlement. CBRE Project Director Jon Rivera said Verde is an opportunity Sydney and Melbourne buyers can only dream of. “It’s almost impossible to find a high-end, environmentally conscience apartment, less than 15 minutes from the CBD in Sydney or Melbourne for less than a million dollars,” Mr Rivera said. Two bedroom apartments start at $585,000, with three bedroom penthouses starting at $1.4 million. 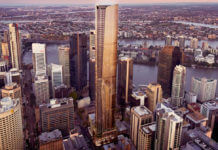 CBRE – Verde Development Lifestyle Video from CBRE Residential Projects BNE on Vimeo.